It was so yummy! I had to add homemade guacamole of course, which you can find my recipe below. This mixture would even be good as regular tacos, rice bowls, or just “as is”. Here’s to a wonderful week ahead! The moment we walked in, we were immediately greeted by employees with a fabulous welcome! As we checked in we received a welcome bag, and a personal tour of the building. As a parent I always look for the small touches and amenities that any business offers (especially the changing room), which helps to create a friendly and welcoming environment for me. Not only does Goldfish Swim School offer an oasis environment, but they provide personal touches such as extra diapers and wipes if needed, and many changing rooms. They also have open showers with baby soap readily available and a drying station for your swimsuits so you’re not leaving with soaking wet suits! Did I mention it’s a “shiver free” environment? It’s quite honestly the ultimate experience for a swim school! As Little Johnny and I walked inside of the pool area we were greeted by two swim instructors already in the pool with an Elmo and Goldfish puppet (what child doesn’t like puppets, AND Elmo! Such a smart idea on their end!) This was a wonderful way to get warmed up and comfortable with the water! Little Johnny and I stepped into the pool with big smiles! Usually when you step into the water it takes a while to get use to it, and quite honestly that’s the worst part for little ones (and me! ), but NOT at Goldfish Swim School! They offer a “shiver free” environment, even when you step out of the water! As a parent I’m very thankful for this amenity because it’s one less thing I have to worry about with my little one shivering or refusing to get in the water because it’s “cold”. I had no problem with Little Johnny wanting to get into the water. Little Johnny and I participated in the mini 2 session (you can click here to check out the pricing and details). We were in a group setting and the instructors had smiles on the whole time, they were also so calm and engaging with the children. Here’s the best part throughout the whole lesson…Are you ready?! Each learned swim skill was taught to the tune of a familiar children’s song! We started with a hello/welcome song and throughout the lesson other songs were introduced. Think about when your child hears a familiar tune, they usually get excited or feel more “at ease” in an unfamiliar environment! This is a genius idea and it also helped me as a parent to understand the skills taught and to hopefully remember them. Researchers do say learning with songs incorporates a more suitable learning environment! At one point in the lesson we were singing “twinkle twinkle little star” when we were practicing the back float and a little girl was just singing her heart out to the familiar tune! It was too cute! This was just our first lesson and I would have been happy just to see Little Johnny getting into the pool, but honestly he was able to get so much out of his first lesson because the environment was set up to ease children into it! I can definitely see Little Johnny developing a life-long love of swimming with the help of Goldfish Swim School! Here’s a picture of Little Johnny in the pool. Now, let me just say the sad look on his face had nothing to do with the actual experience! He was upset with me because I stepped out of the pool to take a picture (currently going through separation anxiety I believe, all part of parenting right!?) Next time I’ll try to bring someone else along to take pictures of Little Johnny actually participating so you can get the whole experience! We loved our swim instructors! As we were packing up to leave an instructor came around to give us a handout to take home that states the end goals of the sessions for both the parents and little ones. I love this feature! It’s so important for parents to stay educated and know how we can incorporate the skills learned at home! It also helped me to understand the layout of the sessions and what Little Johnny needs to accomplish in order to move onto the next swim level. My biggest take away from our first swim lesson was “preparing your child to go underwater”. It’s a very simple technique and is highly encouraged anytime little ones come into contact with water. It’s simply conditioning your child to go underwater. I’ll be practicing this at home during bath time with Little Johnny since we don’t have a pool. In this video below another family shares how much they’re loving Goldfish Swim School too! What’s all the “hype” about little ones taking swim lessons at a young age? I’m specifically going to target this questions towards living in Florida, but quite honestly this refers to anywhere! We live in a state where “water” is easily accessible all year long. When starting at a young age with learning to enjoy water and develop proper safety skills, it reduces the chances of developing “a fear of water”. When children are comfortable with water, then they are prepared to prevent the unimaginable..drowning. We all know water is everywhere, so teaching children how to be safe in water lowers the risk of accidents. Plus, the goal isn’t for children to grow up “fearing” water, but to enjoy the fun activities it presents and learn how to be safe in it. We enjoyed our experience so much at Goldfish Swim School and can’t wait to continue throughout the next few months. I’m excited to take you on this journey and share with you how much Little Johnny is learning! Visit my previous post where I share more details about what Goldfish Swim School offers. I hope everyone had a wonderful Father’s Day! We ended up going to the beach in the late afternoon for only about an hour before the storm came in. We finished our day with delicious cheeseburgers that Big John grilled out! They were seriously the tastiest cheeseburgers we have made at home! Recently I shared a video to my facebook page where Gordon Ramsay takes you through the steps of grilling the perfect hamburger! I seriously suggest that you try this one day, you won’t regret it! pull out the play dough (or make your own) add sticks or straws Little Johnny loved this and so far we have done it twice! We use the sticks to build things or just poke holes through the play dough. have a picnic in the living room and watch their favorite movie! Thanks to momexploresorlando for the idea! Make sure to check her page for fun activities around Orlando that she explores! If it’s not thundering and lightening outside, put on your rain boots and grab an umbrella to go and splash in the puddles. Little Johnny now has an obsession with umbrellas! Due to being in such a drought, we haven’t used one in a long time until just recently. The moment I opened the umbrella he thought it was hilarious and wanted to play with it…why not, right?! Build a fort and read books! This was a fun one and kind of a “spare of the moment” activity for us. I was in the middle of making our bed and Little Johnny kept pulling off the sheets, so I decided to build a fort and we got under and read his library books. We even put pillows under there. It was fun and so much laughter was heard throughout the house! Go on a color hunt in the house! Get different colored construction paper and lay it on the floor. 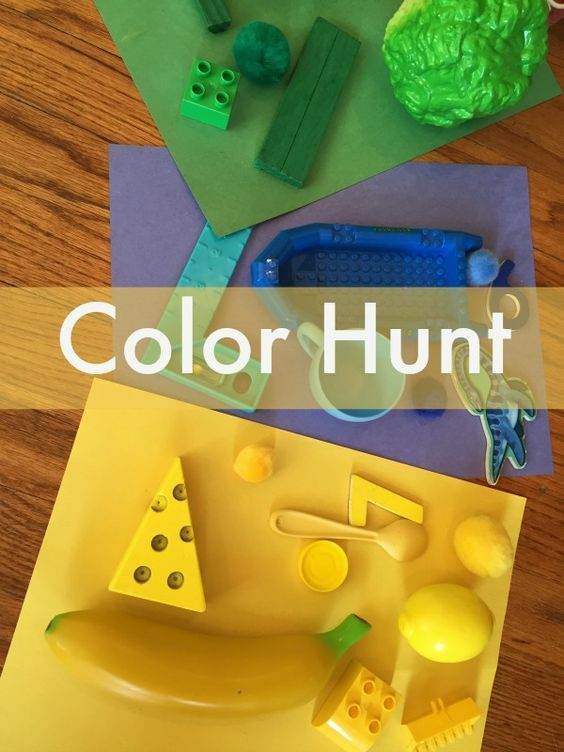 Grab a bucket and have your little one go through the house finding items of that color and place them on the construction paper with the corresponding color. We haven’t done this one yet, but it sounds fun (plus educational!) Here’s the source where I found the idea! Get a large butcher paper or brown wrapping paper and roll it out on the floor to paint or color on! 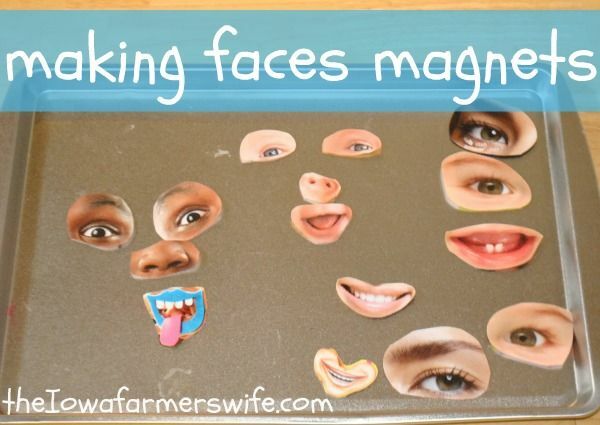 Make face magnets from old magazines! This sounds so much fun and I love upcycling things! Can’t wait to try this with Little Johnny. If you want to extend the activity you can even go on a hunt for shapes and cut them out! Click here for the link. And of course there is always paint! If you don’t want to have a mess, then bring it into the bathtub. 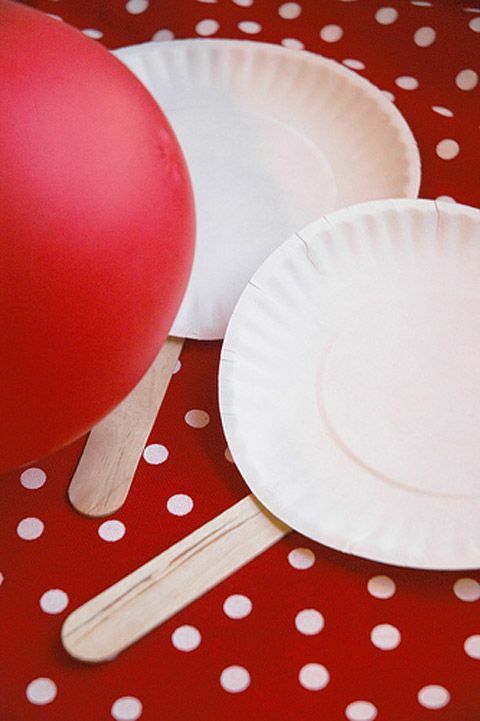 Put on some fun music and have your little one paint away! Paint rocks and write a message or prayer on it to mail out to someone. That will definitely bring sunshine to someone’s day! Do you have any fun rainy day activities to add to the list? Two weekends ago The Florida Morehouse family decided to explore the new play park inside of the Florida Mall! I have never seen anything like this inside of a mall before! As a parent I am so grateful for this fun exploration area, especially the fact that it’s inside with the air conditioning on full blast, because these hot Florida days are already killer! If you haven’t known already, I’m a huge fan of parks! Inside & Outside! I love finding new areas for Orlando area families to explore! It’s exciting to see all that this city offers for our children. Providing areas for children to “play” is such an added feature when it comes to families choosing on where to spend their time together. Here’s what I’m loving about The Play Park! interactive technology and a climbing sensation for children! If you want more of a description, visit this link that presents bright photos and more details about this fun experience for children! Not only is this great for Orlando families, but also for all our tourists as well! So, if you’re thinking of coming here on vacation and you’re either tired of the hot Florida sun, or it’s a rainy day…come check out The Play Park! It’s located right by Dicks & The Crayola Experience! It’s time to go shop and play! ‘Splish, Splash’…Goldfish Swim School is Opening in Florida! Summer is officially just around the corner and soon we’ll hear the sounds of ‘splish splash’ from children as they start to say their “goodbyes” for the school year. We’ll see children transition out of their classrooms and into swimming pools, outdoor play, theme parks, and other fun summer activities. The question is…are your children swim ready? When you think about summer time, what’s something that first pops into your mind? For me, it’s definitely anything with water…which leads me to some exciting news about Goldfish Swim School opening in Winter Park, FL! As a parent, I am so very excited about this opportunity for my little one. Getting your children comfortable in water and confident in their swim skills is something that’s a priority for many parents, especially when you live in Florida! I’ve been waiting for a local swim school like this to open. We don’t have a swim pool at home, so this is a perfect opportunity for Little Johnny to become exposed to water safety skills. I love that the facility is indoors, so we’re out of the “hot Florida sun”. Goldfish Swim School is a franchise and has over 65 locations open or in development around the country. They provide swim lessons and water safety instruction to infants and children ages 4 months- 12 years. Classes are offered by professional, trained and certified instructors in a safe, child-friendly and fun environment. The owners of this Winter Park location are also a husband and wife team (Jon and Gina Thomas) and they have two younger children. They are relocating from Columbus, OH to the Winter Park area to startup the first Goldfish Swim School in Florida! As a parent, it’s always intriguing to hear the back story and learn that they’re a family orientated business! While researching I also found this great post that’s directed towards parents, which is very helpful with understanding what Goldfish offers to the surrounding community. I’m excited to take you on our journey of Little Johnny’s first swim classes! He’ll participate in swim lessons for a few months and I’ll continue to update you on his progress with Goldfish Swim School. He’ll be participating in the class listed below. If you live within the Orlando area, definitely make sure to check out their website and pre-register to reserve your spot. They’re offering the first members a promo! They also offer memberships, which you can find more details linked here. For updates, make sure to “like” their facebook page! I especially liked viewing their photos and timelapse videos of the progress with the construction. Their grand opening will be coming soon, so stay tuned!